There are now approximately 9 billion ‘Parking Fail’ compilations on the internet. And whilst they’re great fun to watch, we think that these videos also have tremendous educational value. By watching other drivers’ mistakes, we can all learn to improve our own parking. With that in mind, we’ve carefully selected fails that show you, our loyal readers, how to perfect your own parking. Let’s look at our seven do’s and don’ts for perfect parking. This driver previously owned a hovercraft, preceded by an 18-foot Cadillac Eldorado. Unfortunately, she hasn’t adapted to her current vehicle — no bigger than a shoe — and is therefore struggling to fit between the white lines. This common mistake can really impede your parking. This driver has several parking options and initially chooses a bay well away from other vehicles. But then, perhaps sensing a bad energy in the empty bays, she decides to park between two other cars. However, she has failed to carry out an adequate risk assessment of this option. The result is that she bumps the white car (1:18). The take-home point: remember to carry out risk-assessments on all your parking endeavours. Understanding that you aren’t Supreme Monarch of Everywhere can really improve your parking. Many drivers sense they have a divine mandate to rule over other road users. Naturally, this means they are entitled to occupy as many parking spaces as they deem necessary. Sadly, this is not grounded in reality. As an example, the driver below believes he is the King of Rotherham. He is therefore exerting his kingly right to park across two bays. He is dismayed to discover that he, and the queen, are being filmed by one of his loyal subjects. This driver performs the tricky feat of parking in a very tight spot. 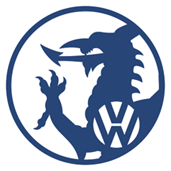 What has helped him is a strong faith in the magical powers of other car owners. He is confident that powerful magic spells will extract the car behind from its space. Obviously, this can’t be achieved through conventional means, as he has left the other driver just 0.07mm in which to manouevre. This driver has made the classic error of confusing two very similar looking surfaces. She has failed to notice that the one surface is for motor transport, whereas the other (known as a pavement) is for pedestrians. On the plus side, the driver did keep off the mysterious green structures beyond the pavement. The driver in this clip had spent the last seven years driving a Challenger 2 tank. As we can see, ‘civvy street’ requires a different skill-set to driving a huge armoured vehicle. If you’ve had a spell driving a Main Battle Tank, we recommend a short period of retraining. Extending the idea in our third tip, parking can also be improved by not being unbelievably selfish. 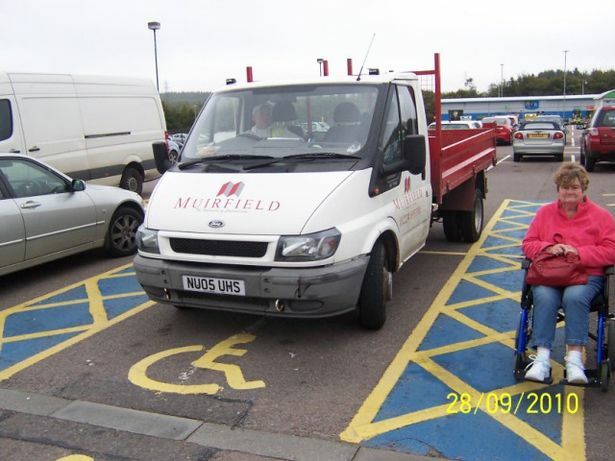 A good example of selfishness might be illegally occupying the bays intended for disabled people. Sadly, hundreds of UK motorists are now routinely make this parking blunder. Scientists have now linked this behaviour to generally being awful, especially when it is followed by angry self-justification.